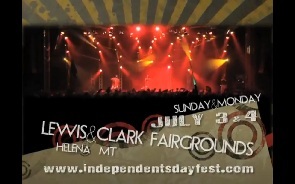 This Fourth of July promises to be absolutely explosive when the Independent’s Day Fest lights up the stage on July 3-4 in Helena, MT. Featuring a headlining performance on both nights from Tech N9ne, the outdoor festival will also see performances from Blueprint, Kottonmouth Kings, Andre Nickatina, Murs, Hopsin, Kidz In The Hall, and many more! Don’t miss out on this historic event celebrating the success of independent music, tickets now available. Click here to purchase your tickets to The Independent’s Day Fest.